Help Oly Assembly go the Fearless Cities NYC! “The institutions of the old world are failing us. Everywhere we turn private interests are trumping the public good and now, more than ever, our rights are under attack. Luckily, a growing global movement of municipalism is paving the way for REAL solutions to the problems of equity, inclusion and justice. Municipalism is a program for local self-governing – a means to create the commons and publicly owned and directed institutions. It can take many forms but it centers the feminization of political leadership, self-government by the residents of cities and towns and social ecology/Just Transitions. It is unabashedly anti-capitalist, anti-colonialist and anti-neoliberal… and it works! You can see municipalism in full, victorious effect in places like Barcelona, Spain , Richmond, California , Jackson, Mississippi and Rojava, Syria . In these places, residents are self-organizing – forming coalitions, engaging in mass education and using the tools of modern technology to make direct democracy accessible and attractive. They’re electing women, POC and LGBTQIA+ members to office, seizing power at the neighborhood, local and regional levels, and winning protections for everything from renter’s rights to free education. This global municipalist movement met for the first time at the Fearless Cities Summit in Barcelona in June 2017, at the invitation of Barcelona En Comú, with the goal of radicalizing democracy, feminizing politics and standing up to the far right. The Summit saw over 700 mayors, local councilors and activists from every continent share experiences and take the first steps to working as a global network. 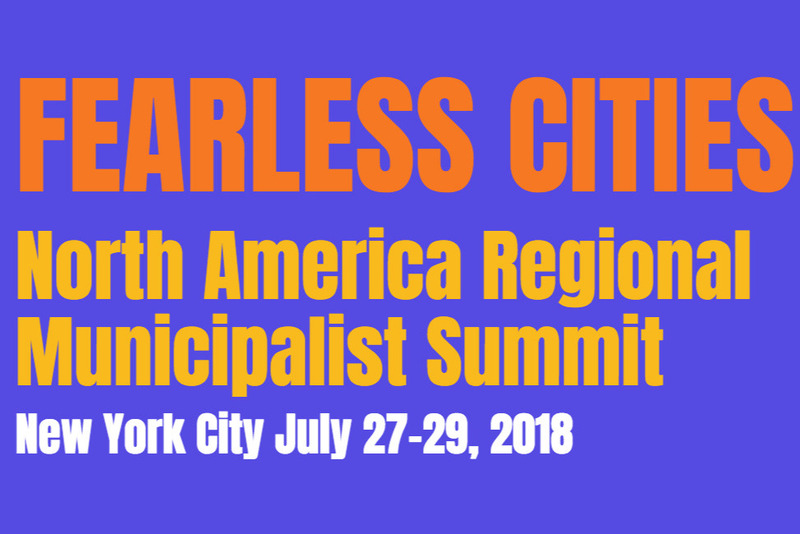 This year, Fearless Cities is holding decentralized conferences throughout the world, with the North America conference being held in NYC at the end of July . The goal of the conference is to continue to strengthen this growing global network and to share best practices of municipalist movement building. We’re a group of activists, organizers, culture-jammers and rabble-rousers that have been fervently organizing around municipalism in the Pacific Northwest since the elections in 2016. In Portland, Oregon, Olympia and Seattle, Washington, our organizations are working to create a municipalist framework that will help us see huge gains for the working class and traditionally marginalized folk over the coming years. Our presentation on multi-pronged municipalism in the NW has been approved and we’ve done all that we can to ensure that our panel and workshop is informative, receptive, and diverse. We plan to share our stories with attendees and also to workshop with them to learn what challenges and successes we share, how we can strengthen our work and to form relationships that will help us build power together. We’ve secured a scholarship for one of our five panel members to cover travel expenses and registration, but we’re hoping to create a buffer for the other four of us to attend without taking too much of a personal hit. Each of us actively dedicates our lives to the unpaid service of helping to make the PNW and the world a better place. We are thrilled to be able to share our work with conference participants from all over North America, but we cannot afford to do it alone. Every little bit helps and every contribution is considered an expression of support for the work we do to transform the status quo and dismantle the powers that be. We thank you SO much for any help you can offer and we promise to report back on what we learn and how it will inform and propel our causes forward. Thank you, thank you – a million times, thank you! 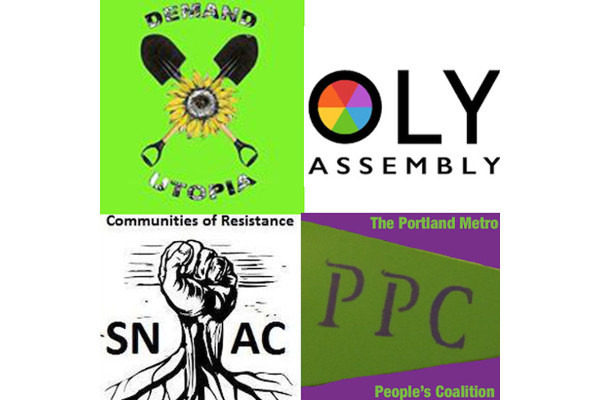 Portland Assembly + Demand Utopia!